Photo: Alamance County, N.C., Sheriff’s Dept. I think one of the scariest parts of exposed racists is that they tend to have critical positions in society, like firefighter or middle school teacher or, I don’t know, police officer—you know, jobs where their judgment may have serious consequences for the black people with whom they may come in contact. The latest example is that of a young white man who was booted from the U.S. Marine Corps over his violent, neo-Nazi views, and who just happens to be an explosives expert. 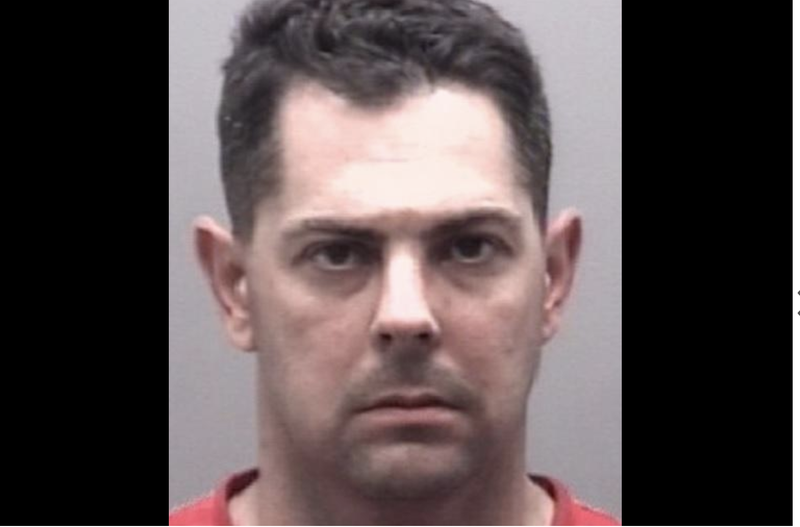 On Tuesday, Al-Jazeera reported that 36-year-old Michael Joseph Chesny was kicked out the Corps on April 5 over his association with white nationalist organizations; he has also been accused of playing a role in organizing the notorious Unite the Right rally in Charlottesville, Va., in August 2017. Despite his removal and “general” discharge from the Marine Corps, he is still eligible for tax-free, lifetime benefits from the Department of Veterans Affairs if he shows proof of a compensable disability related to his military service. Al-Jazeera also reports that Tyrone gave white supremacist demonstrators tips on impromptu weapons and precautions for keeping their identities secret. During a counterprotest of Unite the Right, 32-year-old Heather Heyer was killed after being mowed down by a car driven by a white supremacist, 20-year-old James Alex Fields Jr.
Chesny’s “Tyrone” posing was recently exposed by an anti-racist activist who doxxed him—that is, let the public know that Tyrone was, in fact, an active-duty Marine named Michael Chesney, stationed at an airbase in Havelock, N.C., with a specialty in explosives. Emily Gorcenski, who tried and failed to convince the Charlottesville City Council to revoke the permit for the Unite the Right rally, began searching Discord chat logs after Hayer’s death (since leaked to “alternative media” site Unicorn Riot). There she found threats against her own life. She told Al-Jazeera that she found out Chesny’s identify after about an hour and a half. One of the clues was a photo Tyrone posted of the white supremacy banner that he and former Marine Joseph W. Manning (also kicked out) hung from a building May 20, 2017, in Graham, N.C. The banner was hung during a Confederate Memorial Day rally and read, “He who controls the past controls the future,” a quote from George Orwell’s novel 1984, with the “Identitarian” symbol and the letters “YWNRU” (“You will not replace us”) on the side. They were arrested in May for their actions, three months before Charlottesville. Chesny enlisted in the USMC in November 2007 and became a sergeant in May 2013.